The Rise Up, Restore, Rejoice! Capital Campaign announces $4,300,000 raised so far. 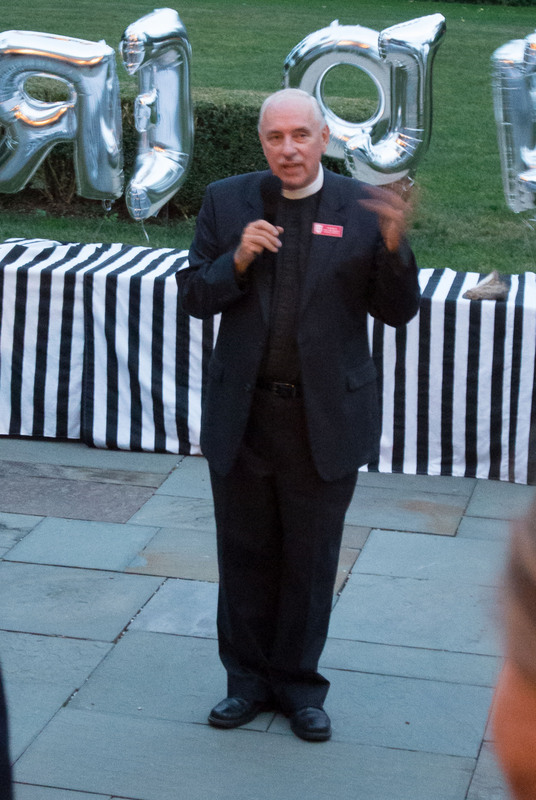 Greenwich, CT – Christ Church Greenwich launched their Rise Up, Restore, Rejoice capital campaign at a festive celebration in the Tomes-Higgins House on the church’s ten acre campus on Saturday, September 21st with $4,300,000 in pledges and gifts. Cater Harris, Senior Warden shared the $10 million needs to preserve the 1910 church building and Parish House, restore spaces for worship and learning, upgrade campus infrastructure and grow the endowment. The campaign is being led by Jim Elrod, Chair with Marnie Dawson Carr and KC King, Vice-chairs and a twenty four person Steering Committee. James D. Klote & Associates (JDK&A) is the full-time, on-site capital campaign consulting firm that has partnered with Christ Church on their campaign effort. “Outstanding start! We need to do this and we can. JDK&A has been very instrumental to getting us to where we are today,” stated Nancy Maulsby, former Senior Warden at Christ Church. “Our firm is delighted to be partnering with Christ Church Greenwich. The results thus far are remarkable since we have only received commitments from a small number of Christ Church families,” expressed Jim Klote, President of JDK&A.